Use of solid wood in dark brown color is complemented by the rich walnut finish adding to its durability. Its simple structure allows for ease of placement. 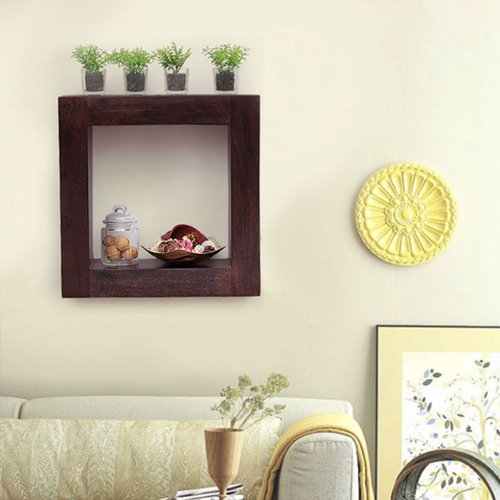 A unique style and chic pattern makes this wooden wall shelf, a great buy. 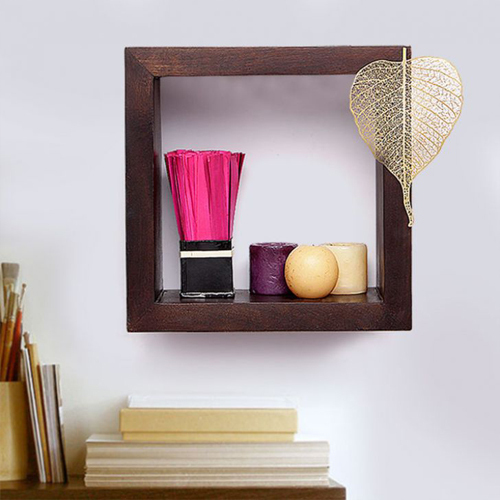 A three shelf set offers ample space to decorate the room with your favorite accessories. 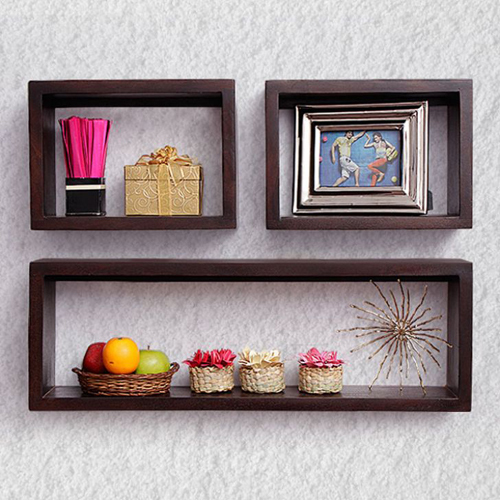 With this trendy wall shelf you can flaunt your decorative items in style. Its unique shape adds an element of fun to the overall decor. 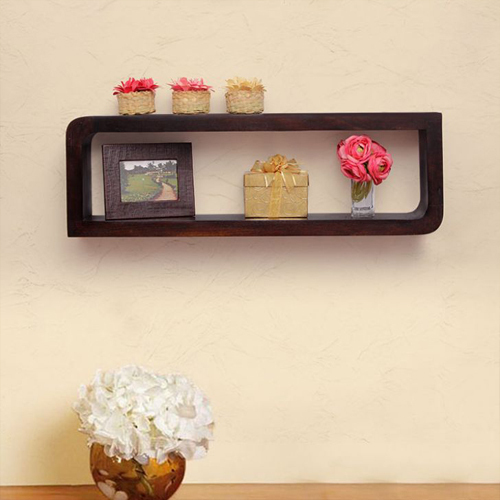 This rectangular shaped wall shelf will highlight your walls and create an illusion of space. Use it to accentuate the interiors of your living room or the bedroom. 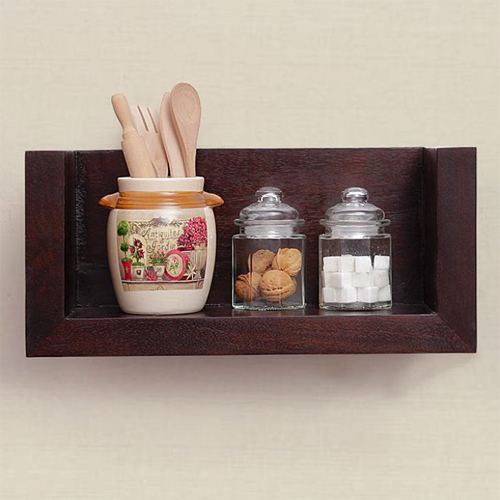 Modern craftsmanship and use of premium quality solid wood makes this shelf a must buy. Its neat look from the walnut finish blends well with a minimal decor. The side extensions look great besides offering extra space. A great buy for those who prefer an unconventional decor. A piano like wall accent will draw all eyes to it. 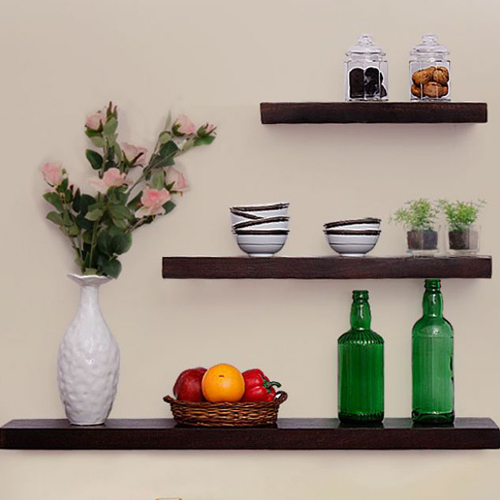 This Wooden Wall shelf combines style and practical purpose. 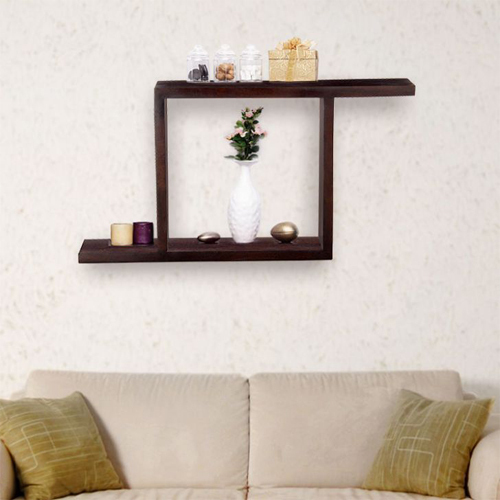 A modern wall shelf to revive your living room walls, this one is stylish and compact. Accessorize your home or workspace with its simple look. 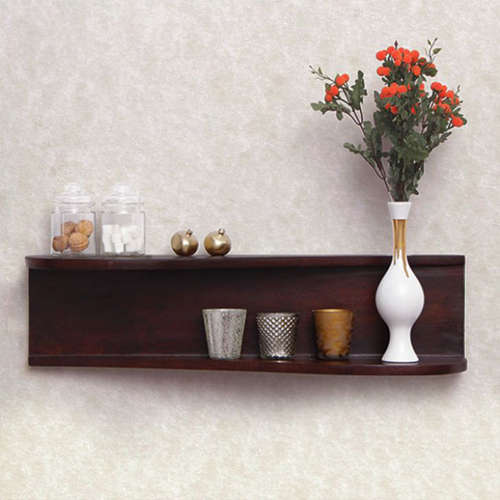 Your collection of wall accents will get an instant lift with this modern Wall shelf. A chic accessory, its unique shape and pattern will add character to the walls. 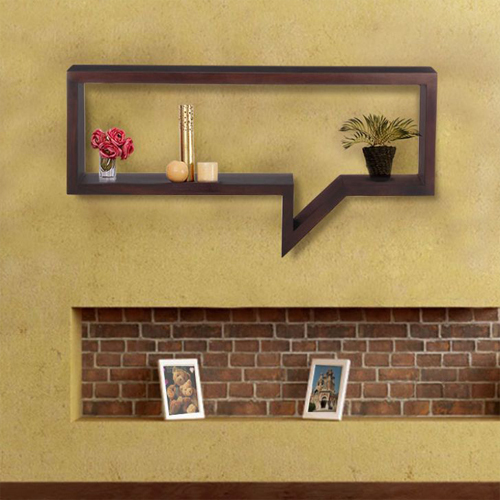 A contemporary wall accent that combines style and purpose, this wall shelf can be placed to highlight the living room walls or to create a lounge like feel with light effects. Classy and Empirical...! 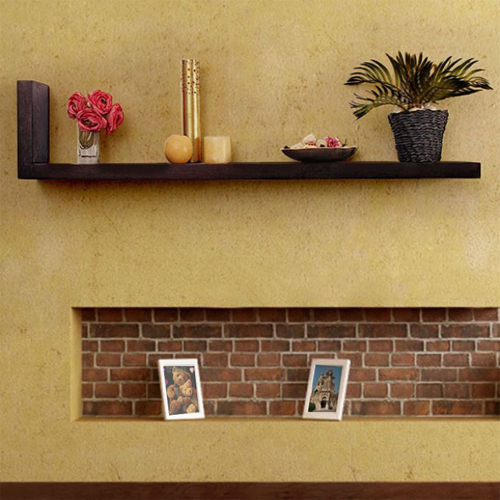 This Cesar wall shelf will add a modern feel to the living room walls with its simple look. Revive your contemporary decor with this purposeful accessory.